Just to give you a flavour of the issues that Fenella & the HBI team have been dealing with around the Heath Ward over the past week or so, here’s a brief overview! Working to get the lane between Pantbach Road & Grove Plave cleared of accumulation of rubbish & fly-tipping. Finally achieved a 20mph zone in front of Birchgrove School. Notifying residents of the proposed development of the derelict site behind Phoenix Way & the new Aldi store. 53 social housing dwellings are being proposed. Responding to residents who are dismayed to hear that Wedal Road is closing & that Labour promises of it remaining open until a new site is found have been broken. Attended Planning Committee in relation to the development of the former Highfields site in Allensbank Road. We were pleased to see the re-marking of the junction of Maes y Coed Road & Heathwood Road to prevent accidents at this dangerous corner. Working with residents of Ffordd Ty Unnos on access & exit issues. Working with the residents of Llywnfedw Gardens on concerns surrounding the development of a 3G pitch & associated issues. Still reporting flytipping and dirty streets to Cardiff council. Still pressing for full adoption of land in Heathmead and securing better waste management provision. Calling for better signage on Manor Way to highlight to motorists the change from 40mph to 30mph through the Heath Ward section. 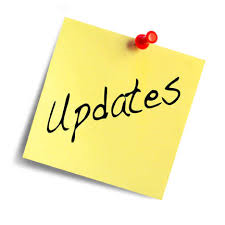 There will be another update soon, as there is always work to be done in Heath Ward!